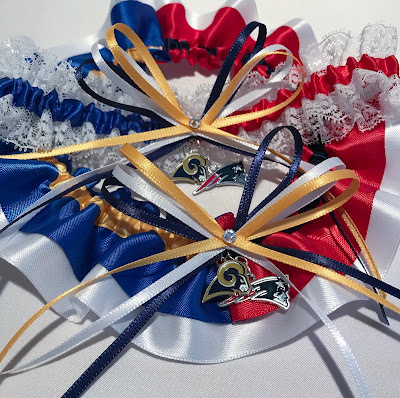 Finished just in time for the big game: a set of commemorative Super Bowl LIII wedding garters featuring the Los Angeles Rams and the New England Patriots! Who will you be cheering for today? 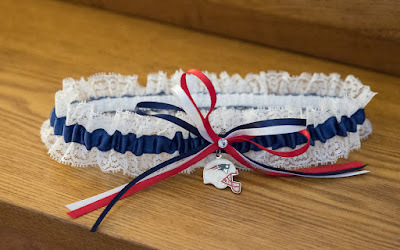 With the Super Bowl just a few days away, today seemed like the perfect day to share pictures of Krista's New England Patriots wedding garter! Krista and groom Joe got married on April 16th, 2016 at the Wyndham Hotel in Andover, Massachusetts. 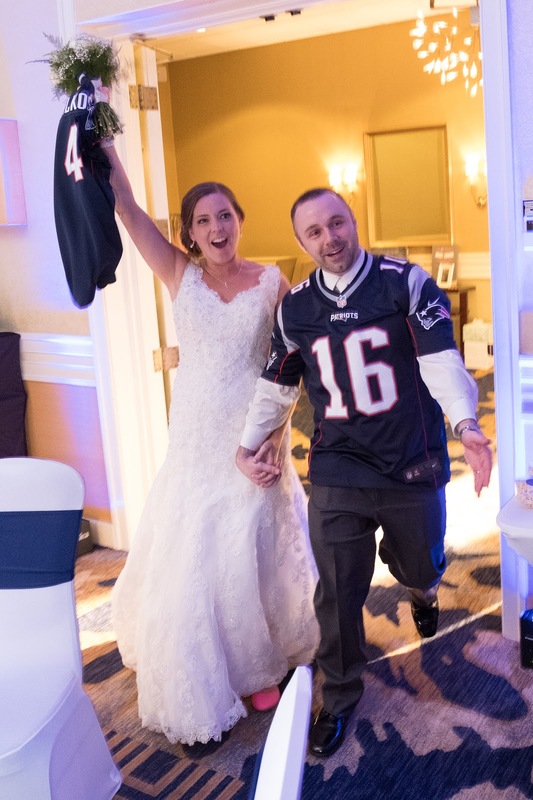 The couple's second date was to a Patriots playoff game and they share a mutual love of football, especially the Patriots. The wedding wasn't Patriots themed, but they incorporated their favorite team in several ways into their big day, including choosing a Patriots garter! Photography by Peter Clayman at NH Images. Getting ready to marry your own Patriots fan? A garter from Sugarplum Garters is the perfect accessory! Find yours here!